Who needs a Posturepedic when you have this? The nice thing is that this mutt mattress has an internal heater. Predicting Crime and Criminals — “Minority Report” Or Good Policing? Any anecdote regarding past experience (including my own) can be classified (and dismissed) as induction. But the facts are empirically obvious. I’m libertarian enough to believe that adults can choose their own risks, but to permit a child to also do so? We don’t buy animals from the Hallmark store, so we shouldn’t regard them as if we do. It all depends upon the dog, Stephen. 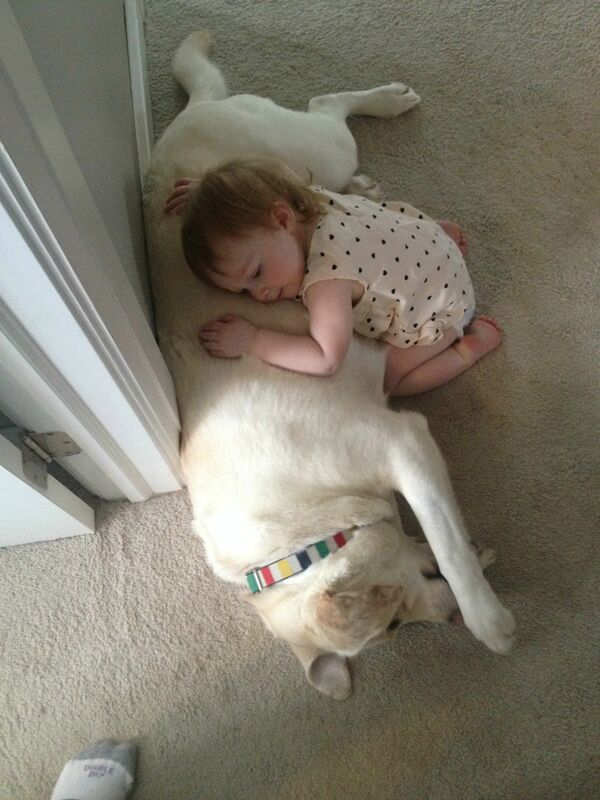 Sorry you have such bad memories, but my kids grew up sleeping and eating with our Golden Retrievers. The patient animal in this picture is a Labrador Retriever, another gentle canine. When I was a child, I was bitten by my corgi. Touching its ear (while it was asleep) I had frightened it. Seeing this photo fills me with dread. It’s completely reckless to possess such a sentimental view of an animal such that you would allow a child anywhere near a sleeping dog. What an amazing picture. And what a patient pup! I’m sure hearing the heartbeat of the pooch is like being in the womb for the cutey.